Zen and the Art of Motorcycle Maintenance was a profound novel that I enjoyed in boarding school. It was one of those books that prep school kids were forced to read, and public school kids were prohibited from. The book introduced the concept of taking the road less taken, and enjoying the culture of side roads. Google is definitely on its own side road, and often plotting new paths of its own. Remember when everyone was building search portals - search engines that has weather, news, sports scores? Google blew them all away by focusing strictly on search, and they won. When everyone began to develop mapping technology and sell it. Google gave it away for free, then they went further. They drove cars down every street on the planet and took video to create Street View. Awesome. Now Google is poised to go Jetson. Cars that drive themselves. 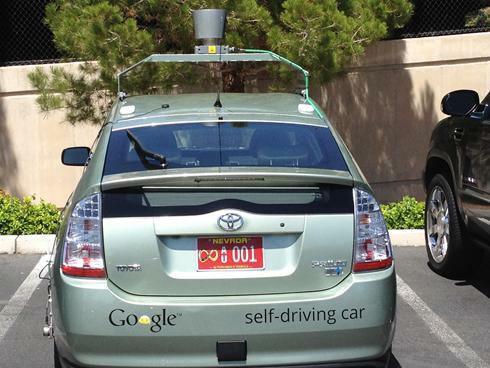 The great State of Nevada has given Google the permission to test cars that drive themselves. Look out if you see one of these self-driving Toyotas. The car will be navigated with GPS and sensors (Stay away from the Lincoln Tunnel!). As for me, nothing would please me more than a car that drives itself. The Zen of being able to enjoy the California vistas without looking at the bumper in front of me would be awesome.